With the cold weather approaching, many of us don’t know where to find walking opportunities in the city. We are here to update you all on some of the cool walking events/groups happening in Philly. Stay Tuned!! Walk with a Doc is a program for those who are interesting in living a healthier lifestyle. While walking at your own pace, you will have the opportunity to meet new people and get questions answered by a family physician. You don’t need any special gear or experience. Just grab your jacket and comfortable walking shoes and get ready to walk with us!! Meet us at the Municipal Building (1401 JFK Blvd) every 2nd Wednesday of the month at 12pm! Meet us outside the Paseo Verde (N 9th Street and W Berks Street) every 3rd Tuesday of the month from 12pm-1pm. Fairmount Park Conservancy is a non-profit organization that leads and supports efforts to improve Philadelphia’s parks. Fairmount Park Conservancy host many walking events for FREE to low cost. Some of these events include guided runs/walks along the Boxer’s Trail and hikes in Fairmount Park. Check out their website and learn about more fun ways to get active! Feet First Philly is a pedestrian advocacy group sponsored by the Clean Air Council. Their goal is to raise awareness of issues facing pedestrians in Philadelphia, improve the pedestrian environment (sidewalks, crosswalks, etc. ), and most importantly encourage the act of walking as a form of transportation. Feet First Philly sponsors many walking events throughout the city, including their Mindfulness Walk that will be happening November 10th. To get more information and purchase tickets for only $5, click here. Also, check out Feet First Philly events calendar to identify recurring walks in Philadelphia. We Walk PHL seeks to promote positive health outcomes, increase use of Philadelphia’s park system, and create opportunities for people to pursue fitness goals while meeting their neighbors. We Walk PHL host walking groups at ten parks around the city of Philadelphia. To learn more about their walking opportunity, check them out on Facebook. We Walk PHL is also known all around Philly. Check out 10 reasons why Philly loves We Walk PHL! If you are interesting in exploring the city of Philadelphia, join Free Tours by Foot and get those miles in while seeing some of Philly’s historical sites. 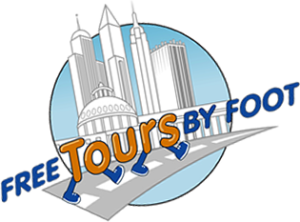 To learn more about opportunities with Free Tours by Foot, click here!